Aimee Plesa featured Chef Eric’s Cheddar Cheese Scones in a wonderful write-up on Examiner.com. These Cheddar Cheese Scones are a great treat to serve at any brunch – especially at a Mother’s Day Brunch! Read the full article here. 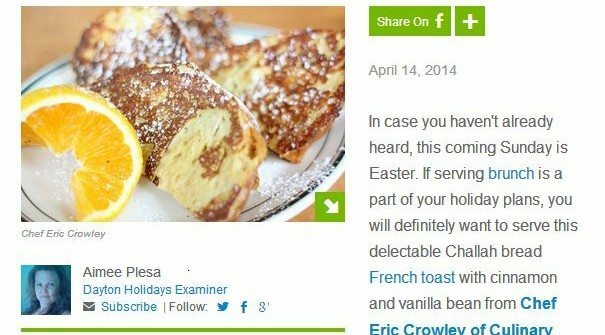 Chef Eric’s Challah Bread French Toast was featured on Examiner.com on April 14th, 2014 just in time for Easter Sunday! This Challah bread is a quick treat that can be easily whipped up in to time at all. Check out the full article here. 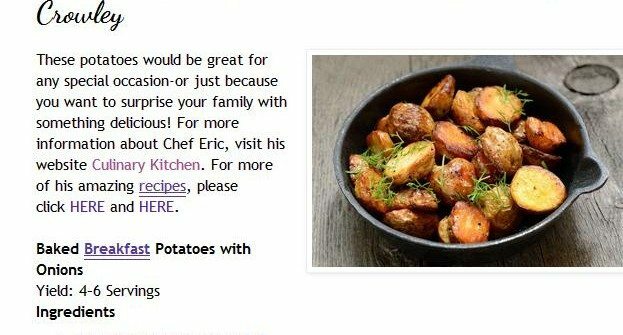 Aim To Please Home Cooking featured Chef Eric’s Baked Breakfast Potatoes with Onions! Read the full article here. We were fortunate to be featured on Aim to Please Home Cooking on April 15th! Read the full article here. 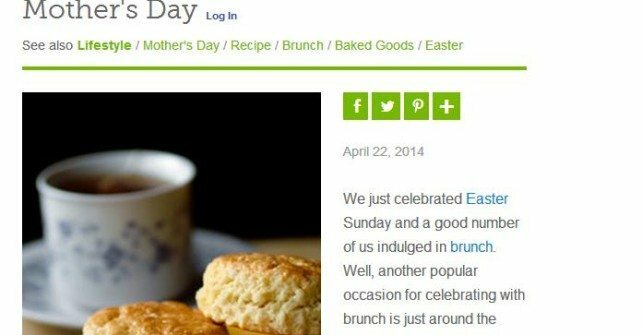 TotalFoodService.com featured Chef Eric’s delicious Easter Brunch menu, featuring: Italian Sausage and Salami Tart with Parmesan and Mozzarella Cheeses Challah Bread French Toast with Cinnamon and Vanilla Bean Cheddar Cheese Scones Baked Breakfast Potatoes with Onions Read the full article here. Chef Eric’s incredible Super Bowl recipes were featured in an incredible write-up on TotalFood.com. Specifically, Chef Eric’s Beer-Braised Pork Loin with Shallots, Garlic, Onion, Sage and Thyme was featured as well as his recipe for Crunchy Citrus Strip Loin Steak with Garlic, Soy Sauce and Sake. Click to read the full article here. Chef Eric’s delicious recipe for sauteed chicken breasts with lemon caper sauce was just featured on Aim To Please Home Cooking! Check out the full write-up here. 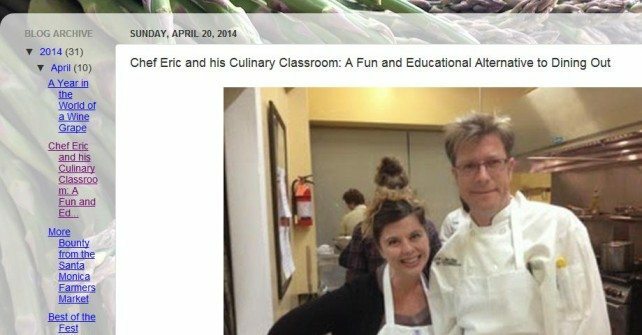 RomyRaves.com recently did a nice review of Chef Eric’s classes and put them on a list of “10 Last Minute Valentine’s Day Date Ideas.” Click here to read the full article. Aim To Please Home Cooking recently did a nice write-up of one of Chef Eric’s more famous recipes. Check out the full write-up here. I had a great time with all of you and thanks so much to Chef Eric for providing such a great learning environment and outstanding instruction.